The rich deep blue colour of the Arabesque rug has complementary viscose fibres woven into the pile, adding a subtle visual glint when viewed from different angles. The cream design is raised from the blue background promoting a 3d effect look. The extra large 200x285cm size is perfect for large areas and its hardy construction will ensure longevity. 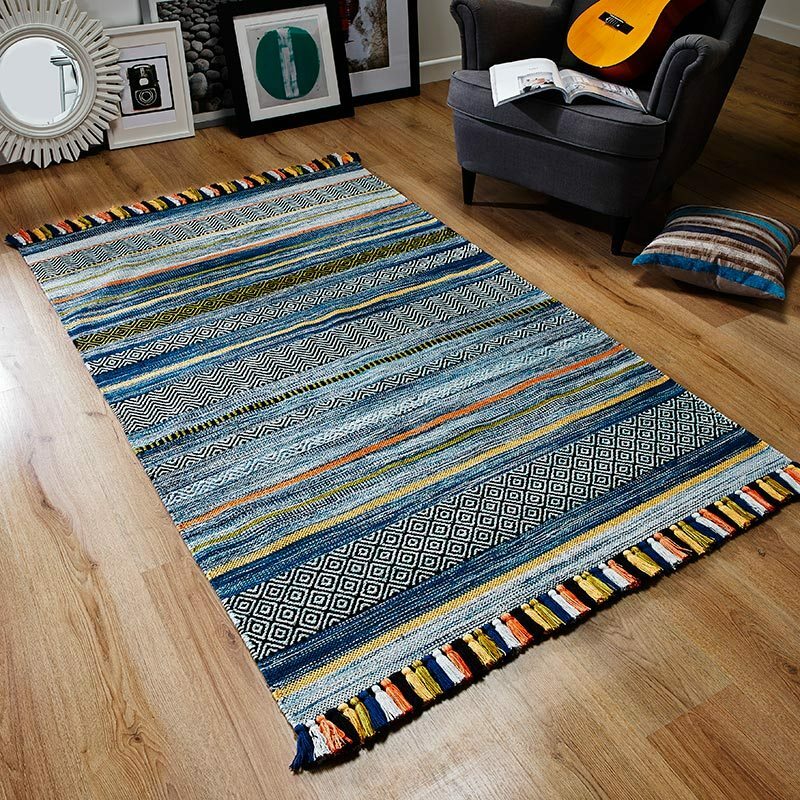 3 other sizes are available for you including a mid length hall runner rug. The pile is fairly deep and the viscose will lend extra softness to the feel of it. Perfect for small and large areas needing a contemporary feel that isn't overstated.